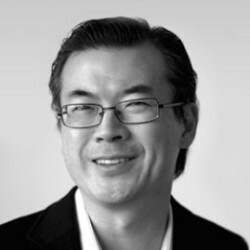 Dr. Joon Yun is managing partner and president of Palo Alto Investors, LLC, an investment management firm founded in 1989 with $1 billion in assets invested in healthcare. Board certified in Radiology, Joon served on the clinical faculty at Stanford from 2000-2006. He received his B.A. from Harvard, M.D. from Duke Medical School, and clinical training at Stanford. Joon has served on several corporate and non-profit boards, and has published dozens of patents, scientific articles, and business essays. He is a contributor to Forbes, the health editor for Evolution magazine, and to various others on topics such as evolution, investing and the future of healthcare. Joon recently agreed to donate a $1 million Palo Alto Prize towards works on reversal of the aging process.